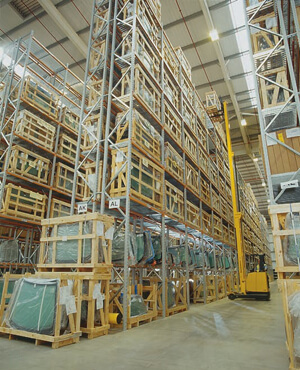 Apex manufactures this wide aisle pallet racking system that is easily reconfigured to exactly match your bespoke storage requirements, without the need for specialised handling equipment. Choose BSE UK with confidence. incredible adaptability. No matter what product you are looking to store, the likelihood is that Apex Wide Aisle will fit the bill. 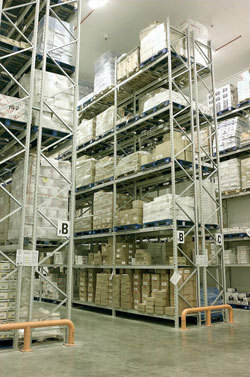 The perfect racking system for distribution, retail, and bulk storage applications. With uprights and beams made to any size, Apex racking really is suitable for any storage requirement. With a broad range of stock sizes as well as made to measure bespoke designs, this pallet racking system for wider aisles offers the ultimate adjustability to meet your ever changing needs.When maintained and serviced to the correct standards an Apex Wide Aisle Rack will last a lifetime. With spare parts readily available, damage to racking is repaired quickly and conomically making for continuous adaptability as your business grows. Whilst more specialised racking systems are available, as a standard for adjustable pallet racking, Apex Wide Aisle racking has a place in any warehouse. Its accessibility is one of its key strengths as well as its flexibility which enables it to be quickly adapted to suit your existing pallet racking system.